Have you ever wondered why a detox is very essential in the morning? Well, in today’s world lack of activity, faulty eating patterns and consuming a lot of trans fat, is risky for your body. A necessary detox is essential early in the morning to cleanse your system of those hazardous toxins. This definitely doesn’t mean that you ignore consuming a healthy diet and sit down like a couch potato. 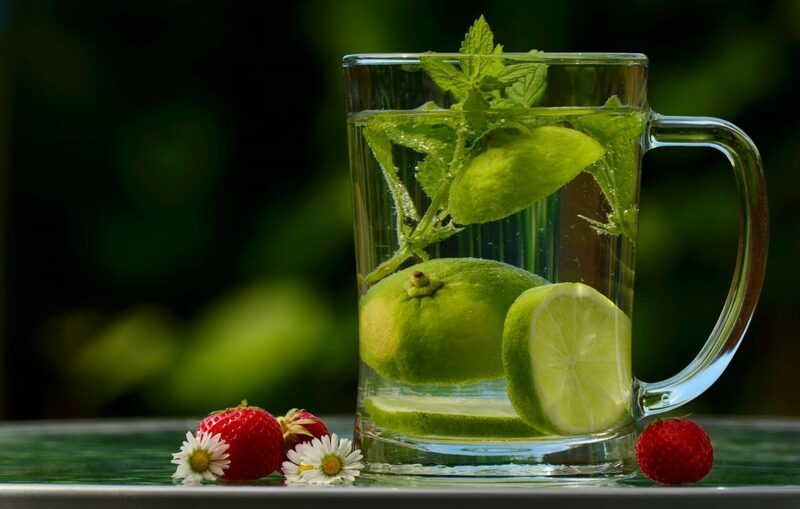 Maintain a healthy lifestyle along with consuming a refreshing morning detox. Many of you all asking questions for secrets of a healthy skin and a good digestive system. Here’s the answer. Honey contains several anti-bacterial compounds which cleanses your gut of harmful toxins and aids digestion. When it comes to a clear skin free of acne, Vitamin C plays a very important role for a clear and a glowing skin. Chia seeds are a wonderful source of fibre and even protein. You can soak it or just consume around 1 tablespoon of chia seeds without soaking them with warm water early in the morning to cleanse your system free of toxins. You can sprinkle chia seeds with cut fruits during your mid-morning snack too. Black jeera(cumin seeds) according to many Ayurveda studies contains a bioactive compound called as thymoquinone which has many anti-bacterial properties and helps to eradicate harmful bacteria in your gut. You should especially consume it if you are highly stressed over things that is if you have a type A personality. It helps in relaxing your mind. Flax seeds, a good source of fiber and iron will aid your weight loss process by boosting your metabolism when consumed in the morning. The best part about it is that you can even consume it with warm water without soaking it. Aloevera juice with warm water acts as a lovely laxative especially when you are suffering from digestive problems or constipation. The bioactive compounds present in it aid weight loss process even faster. It also helps your skin glow when consumed on a daily basis along with consuming a healthy and a balanced diet. Apple cider vinegar contains magical bioactive compounds like catechins and gallin which raise your metabolism and aid your weight loss process faster. Do not forget to kick start your day with this amazing drink. It also has many heart friendly effects like lowering bad cholesterol levels and also it helps to lower your blood sugar levels. Do consume it especially if you are a diabetic patient. Wheat grass juice is an excellent detoxifier to cleanse harmful bacteria in your gut. Especially if you are a cancer patient, do consume it on a regular basis as it helps to kill cancer cells. You can even consume it to prevent cancer and other hazardous diseases like various cardiovascular diseases. It has various anti-ageing properties which will make your skin glow always and keeps the charm of your face intact. According to various researches methi(fenugreek) seeds are very beneficial to improve the insulin resistance in a patient who has diabetes. It is also beneficial for women who have poly cystic ovarian disorder by again improving the insulin sensitivity and regulating your normal menstrual cycle. Soak the methi seeds overnight and consume around 1 tablespoon of methi seeds in warm water early in the morning. Yes indeed, green tea has various benefits like boosting ones metabolism and aiding weight loss by stimulating the lipase activity and thus there is a breakdown of fat cells, which aids your weight loss process. The catechin present in green tea boosts ones metabolism and also helps you get rid of bad breath. Remember do not over consume it as it can even hinder iron absorption. Oolong tea is an intermediate between green tea and black tea. You can kick start your day with a small cup of oolong tea. It has various metabolism boosting properties. You can even consume it during your midmorning or in the evening. Remember just like green tea do not even over consume oolong tea as it may hinder the absorption of iron in your body. I hope you enjoyed reading this article on 10 best morning drinks to start your day. So do not forget to start your day with a lovely detoxifying drink of your choice!